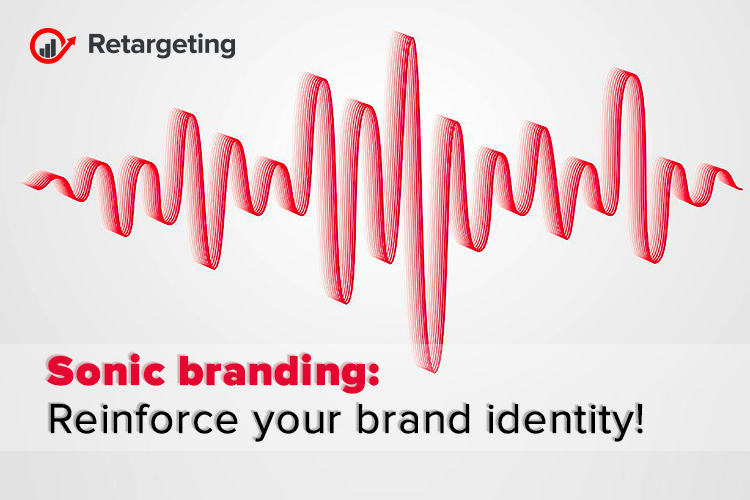 Sonic branding: Reinforce your brand identity! Sound is a powerful tool that can trigger specific memories or emotions. It’s a staple for marketers who have used jingles to connect emotionally with consumers, whether on TV or radio. But as technology like Amazon’s Echo or the Google Home Assistant become more embedded in our daily lives, it’s becoming increasingly important for brands to create those same emotional connections without visuals, just sound. In comes sonic branding, the use of a sound, song or melody to help reinforce a brand’s identity. Strong memory retention is triggered by auditory signals as well as visual. Frequently overlooked due to the emphasis we place on visuals and content, branding that relates to sound is every bit as compelling. And as a bonus for marketers, memory retention is aided by sound. It’s no coincidence that as children we learn the alphabet to a tune and can recall advertising jingles from decades ago. Sonic branding represents the use of sound to reinforce your brand identity. It’s about building a relationship between the product and its target market through the latter’s ears, fulfilling the role that a national anthem plays to a country or a hymn plays to a religion. Even though these sound like mere mnemonics, jingles or sound effects, they carry huge emotional and exclusive value and connect with the brand as much as their visual equivalents do. According to statistics, 3 new startups launch every second. That’s 3 new visual branding every second. However, sonic branding, being one of the most untapped aspects of branding can make you stand out. But does it really matter? Studies have shown that the ultimate decisions are made by the non-rational part of our brain. The very same part is aroused by music or sound. There are many advantages to having a sonic branding. With the availability of such vast amount of information, attention is your most scarce asset. Adding a complementing sound to reinforce your brand identity can help you get more attention from your target audience. Music is directly related to emotions. Different sounds and chords represent different emotions. Using the right sound for your brand can help you communicate your brand message in a better and a creative way. For a lot of people the sound of your brand is still a bit of an afterthought, and as we move more toward a voice-activated world, sound is becoming even more important. If music creates emotion, what we see is brand consideration increases, metrics that really apply directly to ROI. When it comes to all experiences, brands are realizing that emotional connection is more important than ever.